For more than 30 years, J.G. 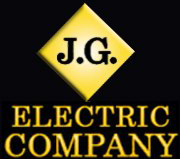 ELECTRIC COMPANY, INC., has assisted both home and business owners with their electrical work. Each Electrician on our Wayland, Massachusetts-based team has the training to competently handle all types of residential and commercial lighting jobs, including installation and maintenance. We provide a special touch of workmanship to every project we complete. This extra level of service we give is made possible by our hands-on management style. Our specialists bring a sense of craftsmanship and pride to every job. Don't forget to check out what some of our past clients have said about the work our Electricians have completed for them. Unlike our competitors, we make it a priority to do high-quality work for reasonable prices. You never have to worry about our Electricians finishing your project poorly.